**It defines the most common LAN type in the world. **Logical link control is implemented in software. **They must be globally unique. **The first three bytes are used by the vendor assigned OUI. 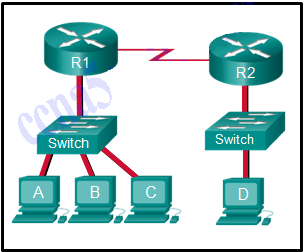 **The switch will forward the frame to all ports except port 4. 14. Refer to the exhibit. 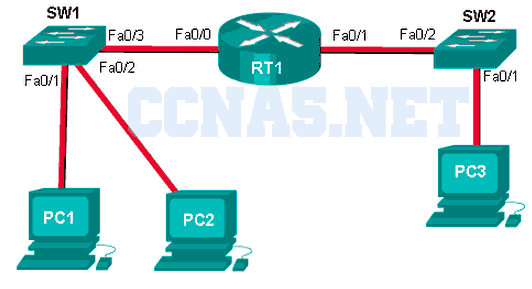 PC1 issues an ARP request because it needs to send a packet to PC2. In this scenario, what will happen next? 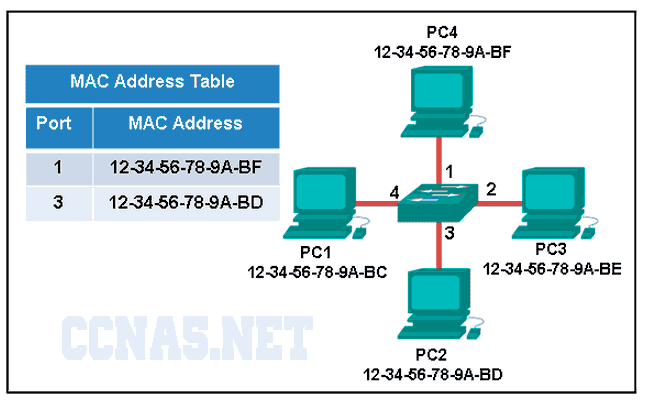 **PC2 will send an ARP reply with its MAC address. **Host A sends out a broadcast of FF:FF:FF:FF:FF:FF. 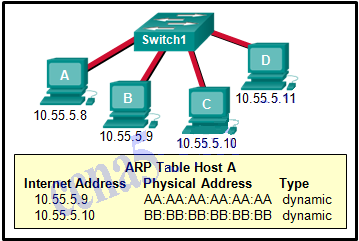 Every other host connected to the switch receives the broadcast and host D responds with its MAC address. **They are received and processed by every device on the local network. **On large networks with low bandwidth, multiple ARP broadcasts could cause data communication delays. **Network attackers could manipulate MAC address and IP address mappings in ARP messages with the intent of intercepting network traffic. A collision fragment, also known as a RUNT frame, is a frame of fewer than 64 bytes in length. 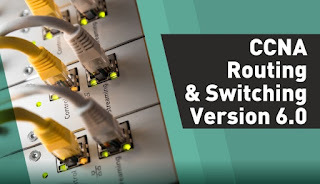 On a Cisco switch, port-based memory buffering is used to buffer frames in queues linked to specific incoming and outgoing ports. Publicado por El Guille en 4/13/2017 01:25:00 p. m.